One of the core duties and goals of theAPS™ is to educate the public on asset protection planning. We have put together terrific material for you to read to become knowledgeable on this very important topic. Our goal is not to make you an ‘expert” in AP planning, but to arm you with needed information so you can make sure you are not taken advantage of by the scammers in the marketplace (and there are many) and also to help you learn why asset protection is a must for any client who has wealth. No estate, financial or tax plan can be complete without incorporating asset protection. Asset protection planning is now emerging as its own recognized discipline in the advisory world. Failure to discuss asset protection options with a client will quickly emerge as malpractice in and of itself. 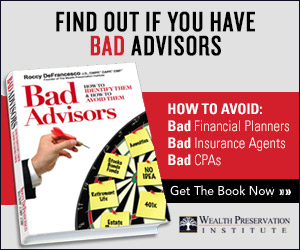 3) you do not know any advisors in your local area who provide advice on asset protection (andyou certainly don’t have a comfort level that anyone in your local area has been trained on the proper asset protection techniques available to clients). The APS™ has created a short test you can take to determine for yourself if you are asset protected. The test will take you less than five minute and will tell you instantly if you need to learn more about this topic and seek out an advisor who can help you. To take the test, please click here. In addition to what you need to know about asset protection, it is equally important to know about the misconceptions of asset protection. To read about the misconceptions of asset protection planning, please click here. If you have determined that you need help with your asset protection plan, please click here to find a locally “Rated” advisor.